Panva cyclades yachting is promissing to travel you around the blue waters of the Aegean Sea, with the luxury and comfort that you deserve. 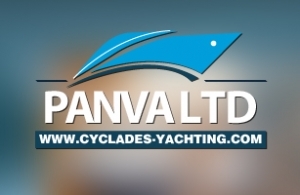 For Panva Cyclades yachting, intros.gr designed and developed a full flash site with detailed presentation of the yauchts with music background, and some other creative tips which will "boost" the content and will give the user a unique experience. In intros.gr, we believe that a well designed and developed website, can help you find new business opportunities in the web. Do not hesitate to request a quote for the design or re-design and development of your website.